I’m extremely comfortable being a weirdo. I suspect it may have something to do with my homeschooled upbringing, but I have been accustomed to “sticking out” from day one. Now as an adult, I continue to own my weirdness in multiple areas of my life– including homesteading, entrepreneurship, and even in our finances. I often ask my readers what is their #1 struggle when it comes to homesteading, and the answer that shows up more than anything else? Hands down, it’s the response I see pop up time and time again, regardless of age, location, or lifestyle. 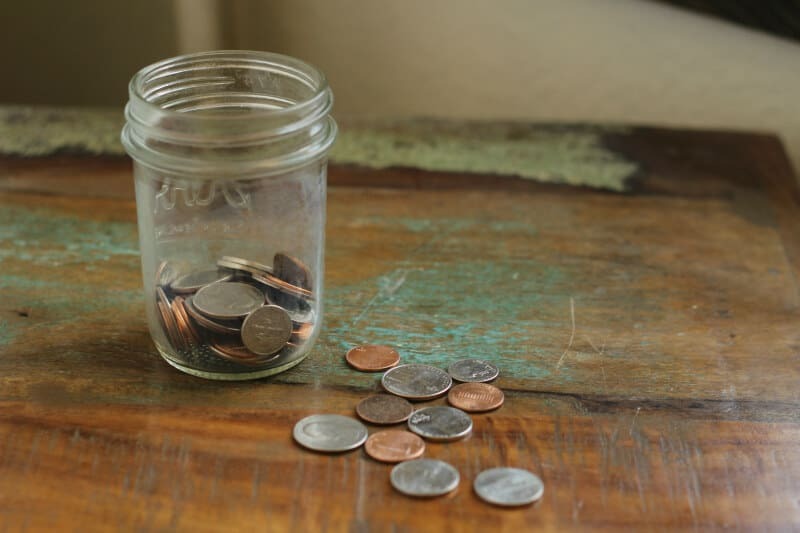 Money management is a subject near and dear to my heart, and it’s a big part of my weirdness. Choosing to push against cultural norms in how we’ve managed our money has set the most amazing chain of events into motion for my husband and I. Not only did these decisions enable me to have the bandwidth to focus on growing/starting my online business six years ago, but those choices also enabled my husband to quit his traditional job at age 35 and so we can focus on building OUR dreams, instead of the dreams of others. I’ve written about our money mindset and philosophy in the past, and as many of you know, we are huge fans of Dave Ramsey. Ten years ago when we initially read his Total Money Makeover book (affiliate link), he was not quite the household name he is today. I quickly had to learn to embrace the ‘weirdo’ label once again as people thought we were insane for refusing to have a car payment and only paying cash for stuff. But we stuck with it, despite the raised eyebrows and ‘comments’ from others, and I am so glad we did. The rewards have been more than I could have ever imagined. 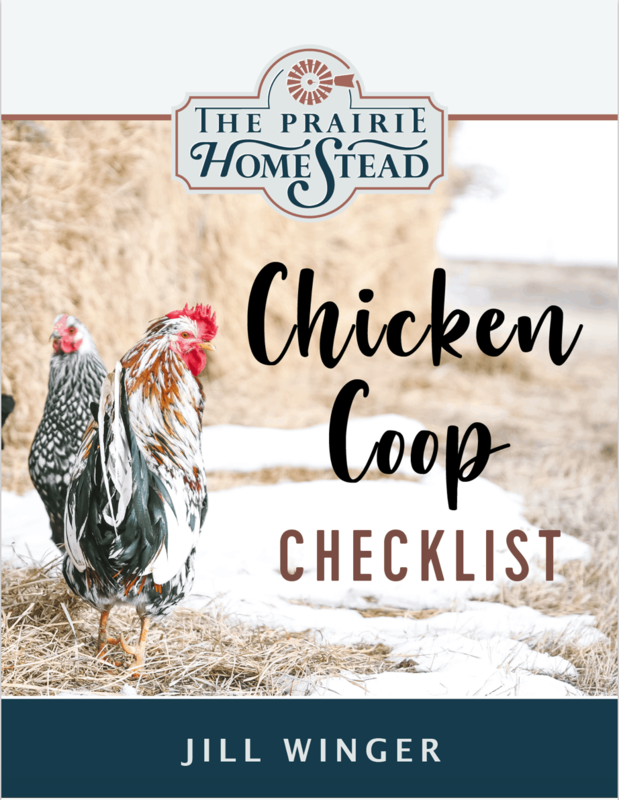 Because I see so many people struggling to fit their homesteading dreams into their financial reality , I wanted to share some of the guiding principles that have served us so well over the years. As you read through the list, you won’t see anything earth-shattering, but these simple concepts have made all the difference for us. The key? Implementation. You must do it and stick with it– even when it’s not popular and not glamourous. Do it anyway. The harvest you’ll reap is worth it. Ten years ago, my husband and I made the conscious decision to stay out of debt. That single choice has impacted our lives more than anything else we’ve ever done. I love seeing debt-free lifestyles gaining more accolades these days, but back when we started, it wasn’t exactly cool. In fact, we were ridiculed and criticized for driving our $1500 Ford Taurus and refusing to carry a balance on our credit card. But we didn’t care what other people thought, and we stuck with it. This mentality of only purchasing what we could afford set us up for success in our homesteading endeavors. (We do have a mortgage, but we borrowed far under what we were approved for, and will be paying it off entirely this year.) I don’t care how much debt you have right now– it’s never to late to shift and start a debt snowball. Will it require sacrifice? You bet. But it is, hands down, one of the best decisions we ever made. Stuff happens… And having all the working pieces of a homestead increases your chances of more “stuff” happening– equipment breaking, animals getting sick or injured, you name it. Start working today to build an “emergency fund” which is simply a dedicated savings account with 3-6 month of expenses set aside. Our emergency fund has saved our bacon so many times, and has prevented us from turning to credit cards when a horse has tried to cut her leg off (ugh), the truck has broken down, etc. The peace of mind that comes from knowing you have the fund if you need it is amazing. Keeping up with the Joneses… Or the homesteader next door… Or those picture-perfect Pinterest People. It’s a real temptation, man… I totally get it. Our human nature tends to drive us to compare and lament our perceived inadequacies, which in turn has a powerful pull in causing us to spend money we don’t have. Can I offer you a gentle piece of advice? Stop it. Just. Stop. Because guess what? The Joneses are broke, and the Pinterest People aren’t showing you the dirty dishes and holes in lawn. Water the grass on your side of the homestead fence, stay in your own lane, and you’ll be amazed at how your mindset will shift! Last week I found our list of homestead goals from 2011, and I couldn’t help but smile. Back then, those things were SO BIG to me. Compared to our homestead goals now? They seem like a drop in the bucket, but it makes me proud of the way we started out. We creatively scrimped and saved to make this homesteading dream of ours work, and as our finances grew, so did our ability to dream bigger. Fight the temptation to go into debt or financial distress in an attempt to have it all at once. You don’t need to buy an “instant farm”. Start small if you need to, live within your means, purchase what you can afford, and add a little bit at a time. That’s what we did. It truly is about the journey, not the destination. People are often surprised to learn raising your own food often costs *more* than simply purchasing it at the store. Truly, if this was all about saving money, I’d be much better off to buy the cheap gallons of milk from the grocery store, versus keeping our own milk cow. But for us, this homesteading gig isn’t about saving money, it’s about quality of life. It’s about raising kids who understand the rhythms of nature and the satisfaction of hard work. It’s about fulfilling the childhood dreams of my husband and I. It’s about boosting our self-sufficiency and learning new skills. 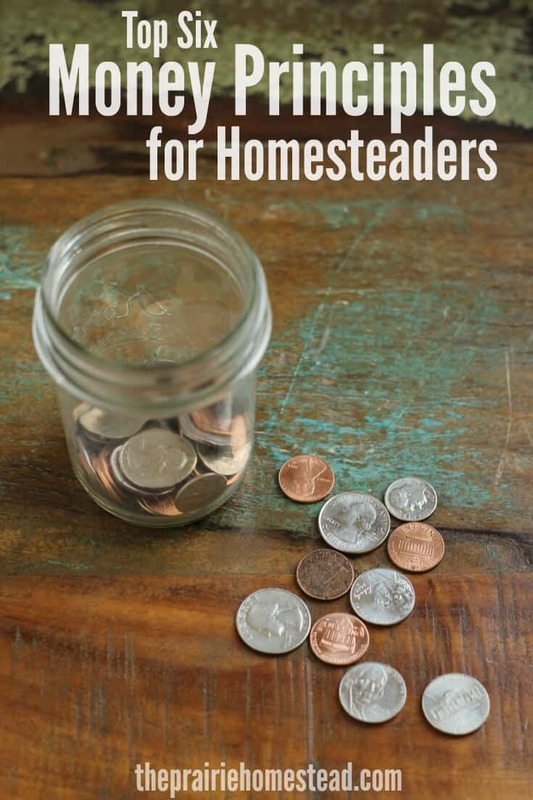 Therefore, I’m willing to accept that some aspects of homesteading simply may cost more. That being said, we still try to make wise decisions when it comes to which animals we raise and what projects we invest in. For example: this year we chose to purchase piglets from the breeder down the road, versus shipping in heritage-breed piglets. With our current feed sources, raising pigs isn’t cheap to begin with (even with feeding scraps and milk…), and we couldn’t justify having to feed a slower-growing, smaller breed for a longer period of time and ultimately getting less meat. 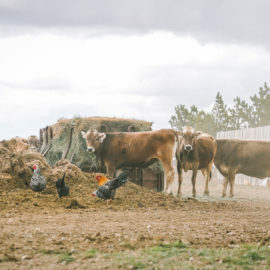 These sort of decisions will vary from from situation to situation, but I encourage you to carefully weigh which homesteading projects contribute to your long-term goals and quality of life, and which ones would just be throwing money to the wind. Over the last year or so, I’ve become extremely aware of how I have lived my life in a scarcity mindset. Until it was pointed out to me, I had no idea how much it was negatively impacting my life and my thought process. I define the scarcity mindset of living in a space of “never enough.” People entrenched in scarcity believe there is never enough time, never enough money, never enough resources, and if someone else gets ahead, then it means I can’t. Holding onto this belief will have a huge impact on how you view your life and how you are able to reach your goals– homesteading or otherwise. Trust me– I know this all too well. Slowly but surely, I’ve been transitioning my mindset to one of abundance. Embracing abundance and shifting my thought patterns has given me so much more peace in regards to finances, time management, and generosity. One of my favorite ways to remind myself of abundance is to simply go outside. Nature is full of abundance (you can’t count the stars, or the blades of grass, or the particles of soil in the garden, or the leaves on a tree), and immersing myself it in reminds me there is enough. I am just finding and reading this blog, January of 2018, and I wholeheartedly agree with everything you said, and started following Dave Ramsey’s advice not to long ago, and it’s working. I did want to say thank you for what you said about the process of Homesteading being a Journey, not a destination…that definitely caught my attention because I am a new blogger and that is really the underlying theme of my blog, keeping a positive attitude and enjoying the journey with all the ups downs, wrong turns and right choices! I guess I’m a weirdo, too. I’m always amazed by folks who never entertain the idea of paying cash for something rather than having payments. I have friends who had their car repossessed for falling behind in payments. So they went out & bought another car on credit! (A big 4-wheel=drive SUV although they live within 2 miles of their workplace & never go camping or on a trip) Now that car doesn’t run, the engine needs replacing & they still owe thousands on it. So what are they doing? Looking for another car lot that will sell to them on credit! Unfortunately, situations like that are far too common. Makes me sad! Yup. I wouldn’t be starting a permaculture U-Pick orchard in the middle of the Wyoming desert if we didn’t have 0 debt. Dave Ramsey, he is awesome! Would love to visit your u-pick in my home state!! Dave Ramsey is right about debt and savings and I applaud him for that. Debt is a trap and a vicious cycle. Where I believe he is wrong is that I’ve heard him say that he doesn’t believe that the dollar is in peril (this was several years ago) but now it’s on the verge of collapse along with all the currencies of the world. It doesn’t take long to find mountains of articles about this on the net. To protect yourself, you need to own some silver and gold, which is where people turn when currencies fail. Dave Ramsey has said that it is stupid to buy silver and gold. THAT is a stupid statement. He also made the comment that history proves that paper currencies are superior to gold and silver! Dave doesn’t know history if he believes that and he is being woefully ignorant. He also tells people to put money into the equity markets which have performed poorly for years. Those 401(k)s, IRAs, mutual funds, stocks, bonds, etc. will become worthless in a heartbeat when the dollar fails. All currencies historically have a “shelf life” of about 100 years and the current incarnation of the dollar is 102 years old and only has about 2% (maybe) of its original value. Are you willing to bet the safety of your savings on corrupt politicians who NEVER vote to protect the people? I certainly am not! Do you really believe we will start using gold and silver to pay for things again when the dollar does fail? Cuz i don’t. I think the currency is going to go back to a barter system, what can I trade you for this? I’m not wasting my money buying gold and silver when it’s all really worthless in the end. It only has the value people attach to it. I choose to instead invest my money in food storage and self sufficiency. You’d be wise to do the same. I agree you are wise. We are all so invested in food storage and selfsufficiency we are also heavily invested in guns and ammo. We are completely debt free but we also have some gold and silver. let me count the ways in which i could reply to this. ( steps on to soapbox, taps mike “is this thing on”) so yeah i couldn’t agree with you more. i have always said that you cant drink,eat, or burn gold or silver either one. if the dollar were to collapse most people i think are going to be in a panic trying to figure out what to do about all the money they lost. largely because they have had it locked up in money markets and and other “dollar based” savings endeavors. i really am at a loss as to what to do with extra. 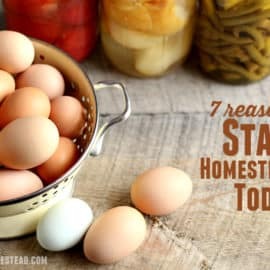 i want mostly to develop a strategy that revolves around supporting homestead start up. more later………. I do agree that it is very wise to have food and water stores, seeds, supplies, ammunition, or anything you view as a necessity. I also agree that people will barter. However, if you have excess money and are trying to have an emergency fund or other savings, what will happen to those savings when the dollar is worthless, and it WILL become worthless? Silver is re-emerging as a very potent antibiotic and I have had medical doctors tell me this, not just natural healing folks (both have their place in healing). A pure silver round could yield you a very real cure for some ailment when you have nothing else. Historically, gold and silver have always been money and are never worthless. As Voltaire noted in the late 1700s, “Paper money always returns to its intrinsic value, zero.” The money you earn and save represents your labor, how you spend your time, in a way, your life’s work. It is horrible to lose your life’s work. Part of my earlier post is in regards to Dave Ramsey’s advice, which is to put large amounts of money into paper investments such as mutual funds, savings in banks paying almost no interest, stocks and bonds, etc., all of which can and will become worthless and they will become worthless long before gold and silver ever do. It is true, you cannot eat gold and silver, and you can’t eat paper money either. I’m simply saying, don’t “bank” on any one thing. Food stores will run out, thus the need for seeds. It’s also a good reason to have a hunting rifle and ammo, be able to fish, and to forage. Any strategy should be multi-faceted. All over it Janis. Moderation should be practiced in so many other areas and for obvious reasons. 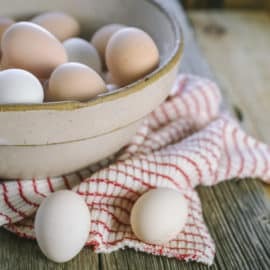 Without rattling off a bunch of cliches like “don’t put all your eggs in one basket” etc… there are solid reasons all those saying came about and became so called cliche in the first place. Simple really, the more you know, the more you learn, and the less you rely on others, or the more you can share with others. Everyone should have at least a handful of essential life skills down-pat that don’t rely on current systems to support. Be it fishing, gardening, shooting, butchery etc.. imagine if we were all confident in just 3 of the many skills available to learn. Its mid 2018 and your advice on getting some gold and silver as a hedge for your savings is spot on. its the actual monetary system thats in jeopardy from all the debt created by the FED. i found “hidden secrets of money” by Mike Maloney (on youtube) to be an incredible tutorial. You can’t eat gold and silver. But you can eat and be secure with chickens and ammo… The metal is good to assist you in bartering… Get it after the metal price drops… The global elites want you to buy it now over 1000x it’s original value… Read http://www.annavonrietz.com works.. she spells out what’s coming. She is a personal attorney for Pope Francis and a superior court justice for Alaska state. Get her book..” you know something wrong…an affidavit of probable cause…. I’m not making anything…but u will feel awesome knowing you have made the right decisions to homestead..
No, I don’t believe gold and silver will help you in bartering. Water and guns and food and gasoline, etc etc, now THOSE will be valuable things to trade, not a useless hunk of metal. I like how you say that it’s sometimes more about quality of life than about doing things as inexpensively as possible. I think that’s why we do the things we do: even if it’s harder, it’s more rewarding. You have some great wisdom here. It is easy to look at what other people have and compare. There will always be something you don’t have…. Like, a pool maybe? or more acres of pasture? or more cows? I try to be content and grateful for what we have. This is the glorious life! YES! That very concept (of realizing I *CAN* control so much more of my life than I originally thought) has been life-changing for me as well. It’s all about taking responsibility. So powerful! Great post Jill- I’m starting new on my little homestead and have been avoiding debt the entire journey so far. It’s hard, especially when I could really use a bigger, better tractor and some other farm tools, but plugging along with what I have, making due and having no debt sure does make for some sound sleeping and a clear head at night! On anther note – I just bought a book you mentioned in another post ” The Slight Edge”, by Jeff Olson. I’m half-way through and I have to say, it is really a very inspiring book. It has encouraged me to give myself an extra kick in the pants and start achieving more in my life! Thanks! Indeed it does! We limped along for years without a tractor- felt so good when we finally were able to purchase an old one with cash. 🙂 And I’m so, so happy you are enjoying the Slight Edge! I love The Slight Edge too! And, if You haven’t read it, the book for and about teenagers is even better! I have felt like a weirdo since I was a kid and still do. It’s good to know we are in good company. We home school and do a lot of other things differently too, so the ‘uniqueness’ is being passed down. It really does help the kids stand up for themselves, having been brought up like that 🙂 We’ve had times where we have implemented the debt free way, and it for sure is the most liberating way to live. We are coming back full circle and going back to that. For our meat source, we have purchased some Boer cross goat kids. They can grow to a healthy weight foraging outside…we shall see if we can get them to market and spend minimally on feed. Thanks for the reminder about the emergency fund! This has to be one of your best posts yet! Debt is the scourge of modern day! We started small and debt free and have built our homestead as money avails. We are probably the wealthiest people we know, not because of money, but because of quality of life. Thanks so much Thomas! Quality of life is where it is at! I grew just two tomato plants last year. I was given the plants, which were hybrids, resistant to just about anything except gunshot wounds. My benefactors chose to grow the latest heirloom tomato. Every time my not-so-beautiful plants had a good batch of tomatoes, I made a sauce and canned it. When the late blight hit, my friend’s plants pretty much died overnight. With a little pruning, my plain Jane plants kept producing until the killing frost. I still have a few jars of sauce, and the growing season is just about to start again. Your second point, Squash the comparisons, really hit home for me. I only feel like a weirdo when I compare myself with those who think they know what success or happiness looks like, and that it looks like some commercial. I have to constantly remind myself that I have my own permission to live my life according to my own values, and my dreams don’t have to look like theirs. I can make much wiser money decisions when I just let all of that go. ‘Avoid debt like the plague’ can be too blanket a principle according to Garrett Gunderson in his book “Killing Sacred Cows”. It’s the kind of debt that matters. For consumables that exceed your assets, it can be very bad, so choose wisely. For productive matters, however, there can be good debt, especially when the return outweighs the loan interest, in addition to an increase in quality of life. Many college students have to tread carefully in a gray area between these two categories. Though happily debt-free too at the moment, I want to be prepared to help my in-college children keep this burden manageable and rid of it asap. I do think there are times when business debt or debt as a wealth-building tool can be appropriate and actually beneficial. However, I am still of the opinion that the vast majority of options that put a person into personal debt are poor ideas. Here, here! You are spot on. We are weirdos too and whether the judgement we get is discreet or just blunt and in our faces we still prefer the freedom that our lifestyle offers. It isn’t easy and having reminders like those in this article is always a great motivator to keep going. Thanks!! I only have a car payment. It took 2 yrs to finish enough of my house to be able to live in it. But have no morgage. As vehicle is my only debt other than utilities and food, I don’t worry about much I am retired army vet, retired school teacher, and draw a little SS as I am 100% disabled now. But I have been given a wonderful life!! I’ve been Blessed to be able to retire early and enjoy my life now, not later. That is awesome Theresa– and I love your attitude too! Weird? Um… that’s the way our grandparents lived. Within their means, no debt except the mortgage, paid cash, had a rainy day fund… and were thankful for what they had. Yes, unfortunately it’s not-so-common in today’s culture! Very true and very Biblical on top of it. I want goats so bad. Really. My next project, really really. I have Muscovy ducks (fabulous bug catchers) and chickens and am about to inherit (again) my brothers rabbits. They’re all important and true, number 6 being huge for me. Thanks for the article link! these are all great money principles. my parents, who were older and from the Builder generation––that’s the one before the Boomers generation––practiced most of these and passed them down to me. it’s funny how so many things from that generation seem to be back in style: victory gardens, scratch cooking, being frugal, etc. Yes! So much wisdom from that generation! I love the builder generation! I’ve learned so much from them. I am a weirdo too. We just this past year, bought our 1.5 acre farm out on the Colorado prairie. I am still assessing my plan of action, but I am so grateful each morning I hear the song birds. I am so blessed to have a little house on the prairie that comes with history and good bones. These things are priceless. I am still working on the debt, that may take some time, but I do garden, canning, knitting, and I am learning to do without what I don’t have until I can buy it with cash. My dad bought a tractor for us and it is so wonderful! My next project is building a chicken coop so I can have fresh eggs and I am thinking about ducks. Thank you Jill for your blog, I love it. Great article, thanks. About 3 years ago I started being more frugal, recycling, repurposing, eating off the land, not spending money on things I didn’t need. I realized in some ways I started feeling impoverished. I enjoyed the learning process but I wasn’t buying clothes and cutesy things as much. I started making some changes to create balance in my life. It is helping. Jill, you are a girl after my own heart! You have clearly nailed it with your top 6. Our story is very similar to yours, as is our way of life. Although we have only been “homesteading” officially for 7 years, we chose to live debt free and simply many years prior. Years ago, when most of our friends were buying bigger homes and newer cars, (and bigger mortgages! ), we resisted the temptation and stayed in our cozy little 1 bathroom house. When the time was right, we sold it and bought our homestead in rural Idaho. Most importantly, we only bought what we could afford with no mortgage. It has made all the difference in our lives. We watch friends and family struggle with trying to maintain their debt-driven lifestyles and we can’t understand why they do it. Most of them are unhappy and they don’t seem to have a clue as to why. Truly, much of life should be about quality and abundance. Ours is blessed with both and I hope others will discover it too. My favorite frugal phrase these days is “there’s always another way”. Really, it’s amazing what you can come up with when you try. Great article! Never heard of the Builder Generation but I am a boomer so assume my father was a builder. Funny thing though, the one thing that he could not abide was available credit. We were always in debt and at least twice faced foreclosure. The best thing that happened to me (financially), was in my twenties I impulsively bought a piano because I could meet the minimum payment. I couldn’t play the piano but the salesman sure could. When I realized how foolish I had been, I paid off my credit card and never went in debt again except for a mortgage which I paid off early. BTW, that was almost 40 years ago. I still have the piano. And I still can’t play it. Thank you so much, Jill. I have been receiving your super helpful newsletter for awhile now but today is the first time I have read this article. I needed the reminder today to be thankful for what I do have and where I am, and the reminder that I can start right in that spot. And if I do well there, well then maybe God will see fit that I can handle more. Until then, I hope be wiser with money, “collect skills” and be grateful for the everyday journey. Thank you for inspiring me all over again! You are so welcome Amanda– thanks for reading! This is great. My husband & I have resolved to not purposefully go into debt except for the monthly mortgage payment when when buy our country home. We came into marriage with no debt and are hoping to keep it this way. Really nice articles, and even more economical and a whole lot kinder is to stop killing and eating animals. The children and I became vegan over 40 years ago. In two days, bye bye to my lifelong sinus condition! Done my nose drops addiction! Kids never sick and, like me, full of energy. For several weeks now, being fruitarian, mostly bananas, dates and leafy greens, and I feel even better, which I thought was impossible. Been a grandmother for 15 years, and I still run twice every morning, once with each female dog. And now that the males are calming down (insane goldendoodles!) I’ll probably run with each of them too. Organic vegan or fruitarian is just the best! And I love not causing harm. Thank you for the great advice. Here’s something we have been doing since we moved to our Ozark Mtn. Homestead in Arkansas 10 years ago: envelopes. We had separate envelopes for homeowners insurance, auto insurance and county taxes. We divide the total amount due by the months until their due and put in that much each month. (We say we’re “feeding” the envelopes). Since then, we’ve added more envelopes: Air Evac, AAA, our CPA, firewood, vehicle registrations, trash, and a couple others. Even the small yearly bills are in an envelope, such as the newspaper payment ($36.00) and local volunteer FD ($25.00). When it comes time to pay the bill (such as the yearly $1182.00 homeowners) we go to our safe, pull out the envelope, take the money and put it in the checking account and write the check. Then, begin to feed the envelope again. This way, we also live way below our means ….. and we are just fine with that! We learned from Dave Ramsey when our children were still teens. I taught them the “envelope” method from Dave, and to this day they “give” and “save”, and “spend” according to Ramsey’s Peace University workbook. Ramsey has just come out with Financial Peace University, Jr., for youth. Wonderful guy, wonderful, wonderful lesson to learn and use throughout life!!!!!!!!!!!! Excellent article Jill! Thank you for sharing and these great reminders. Blessings! To move to the country . Plan o. A green house & chickens , garden etc …..have been researching for years to get to that day . We have old cars (paid for) and don’t buy much that is superfluous . Zero debt in another year , when we leave it will be work ,but rewarding work . and myself the importance of saving money and not feeling the need to spend it just because you have it to spend. They also stressed on the importance of buying things outright when you can, paying more than the minimum on them when possible, and keeping credits on bills. For example, always keeping a credit on your accounts (like electricity, storage, etc) so that in the event of an emergency, your bill is already paid. It gives you longer to get yourself back on track and keeps you from owing money on bills rather than breaking even if an emergency happens. I think these principles would work for every life–not just a homesteading one! It is so encouraging to hear that others have the same goals! We have been debt free all our lives, but it isn’t the cool thing to do, and the pressure to be like everyone else is very real! The reward is so worth it though! We now own our own bit of Alaskan homestead and have built a cabin on it – all without a bit of debt! It can be done!! milk plus running greenhouse and flower shop. BUT it was so worth it. My daughter and son-in-law have now taken over the farm since my husband passed away 3 years ago. 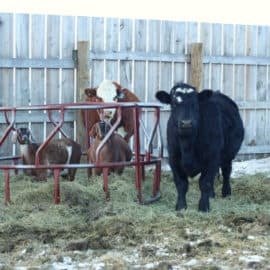 My husband and I stopped doing dairy and went to beef cows about 15 years ago. And that what the kids are doing now. Such a rewarding life!!! As someone relatively new to your blog and website, let me say a heartfelt thank you! I’m loving everything you have to offer! I loved your article. I love the part about living in abundance. That is so true. We used to live that way, but we also had very little debt. Now. Oh my. School loans are killing us. I am guessing you guys don’t have any. Well any way we are living in a beautiful place in the country and old jobs have gone away and new jobs have come with a large hourly cut. But to keep healthy the job change was necessary. Now we are selling our place to pay off the debts and start over. Mind you that we are old enough to be your parents or close to it (lol). But never the less we are doing it. God has a plan for us i am sure. Thank you for being honest in your articles and videos. God Bless you and your family. I like all these comments, and agree whole heartedly. I used to live paycheck to paycheck, now my husband and I are slowly moving off grid and for years have paid off our debts, said “no” to friends when they wanted entertainment etc. Some of our friends were offended by the lifestyle we chose to live by saving money, and having money for rainy days. That was the hard part, being the couple that moved from consumerism to “save for the future”, and losing friends this way. But we did it, and I’m so glad to see other like minded people. Jill, I’m right there with you on the abundance mindset. I’m so glad you mentioned that as part of your six. It’s so important to be able to feel happy and satisfied which what you have, and not dwell on what you don’t have. Great post!